In spring of 2015 BRAVE applied for funding through the Ontario Women’s Directorate to expand the committees’ mandate to include sexual violence. As part of a three year work plan, the funding will allow BRAVE to become more inclusive of the needs of diverse communities, including but not limited to faith communities, LGBTQ communities and our Aboriginal communities. This project will not only strengthen the focus on sexual violence in Brantford, Brant County, and Six Nations of the Grand River, it aligns with the intention of Ontario’s Sexual Violence and Harassment Action Plan. The application for funding was jointly submitted by Nova Vita Domestic Violence Prevention Services, which represents the needs of domestic violence survivors, and the Sexual Assault Centre of Brant, which represents the needs of sexual violence survivors. Both agencies have extensive expertise in their focus areas and are key members of the BRAVE committee. In addition, both agencies have a strong collaborative history with Ganohkwasra Family Assault Support Services who has expertise on both sexual violence and domestic violence, and the differential impact on Aboriginal peoples. Victim Services of Brant and the Brant Community Health Care’s System’s Domestic Violence/Sexual Assault Care and Treatment Centre complete the immediate support services tier of this project partnership. The BRAVE committee hired Dr. Rebecca Godderis, Associate Professor at the Brantford campus of Wilfred Laurier University to complete the first phase of the project which involved consulting with committee members about their views regarding the integration of sexual violence into the BRAVE mandate. In 2012 the BRAVE Committee received funding from Status of Women Canada for a three year term to engage young men and boys to stand up against gendered violence in Brantford and Brant County. The project worked with young people between the ages of 12 and 24 from the Grand Erie District School Board, Wilfred Laurier University, the Boys and Girls Club of Brantford, and other youth-centred community partners. In January 2016 BRAVE obtained new funding from the Ontario Trillium Foundation in order to continue to engage young people to speak out against gendered violence. No More has been able to grow and expand its reach in the community by working with new community partners and allowing young community members to take part in all aspects of the project. 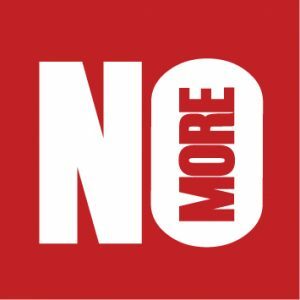 The No More Project’s Youth Advisory Committee has provided a space for young people in the community to guide and direct the project team to ensure the project is effective in engaging its target demographic. The Project’s Ambassador Program provides a unique leadership training opportunity for young community members. Once youth have successfully completed the training, they are able to join the project team out in the community to educate on the topic of gendered violence using a peer-to-peer model. The project has continued to focus on capacity building around the topic of gendered violence. Through workshops, information sessions, drop-ins and trainings, No More aims to create a space in the community where young people feel comfortable and have the language to lead conversations about gendered violence. This is done in hopes of reducing such violence in Brantford and Brant County while simultaneously giving young people the opportunity to be leaders in creating a socially just community.